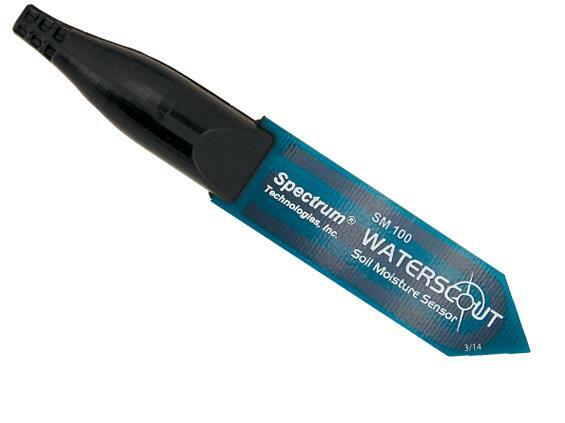 Place soil moisture sensor at multiple depths to help determine both when and how much to water. Maintaining a healthy soil moisture and water balance is essential for producing high quality plants. Under-watered plants suffer from nutrient deficiencies, stunting and wilting. Conversely, over-watered plants are more susceptible to disease pressure and less tolerant of dry conditions later on in their life cycle. Extreme over-watering will suffocate the plant and lead to root death. • Connect up to 8 sensors to one station Not compatible with 400/200 loggers. WatchDog Stations sold prior to 2009 must be upgraded.